is truly wise and sensible to publicise information and teachings from H.P. Blavatsky’s private Esoteric Instructions. As history shows us, Annie Besant was the first person to publish these, in 1897 (six years after HPB had passed away), in the misleadingly named “Third Volume” of “The Secret Doctrine.” In doing so, she consciously broke her own pledge in the Esoteric Section and made public that which she had sworn on her own word of honour and on the Higher Self to keep secret for the rest of her life. 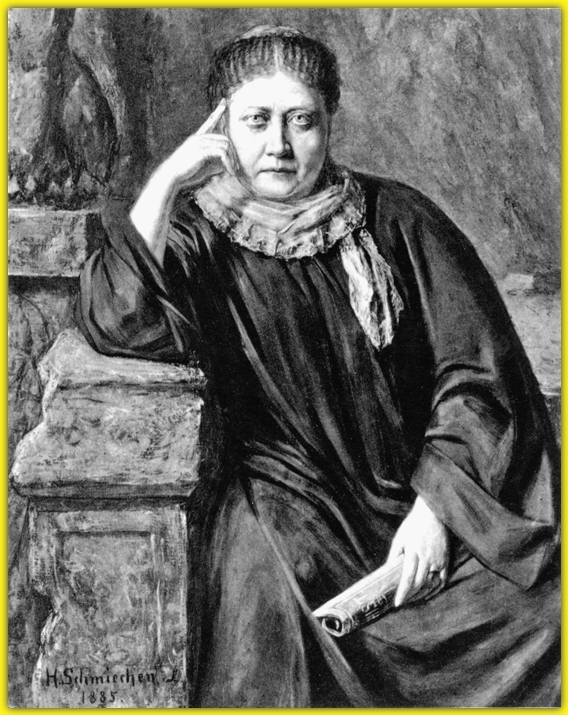 HPB had made it clear, in “The Key to Theosophy” and elsewhere, what the Karmic consequences would be of breaking such a pledge but Besant thought she knew better. These teachings were only ever intended for seriously pledged members of the Esoteric Section – who had bound themselves by oath to abide by all the necessary rules and regulations – and not for anyone else. One reason for that was because only such an environment and atmosphere provides the necessary occult safety, protection, and influences, which are vitally required if one is seriously involving themselves with the study and application of such potent material. If one reads the first four chapters of HPB’s book “The Key to Theosophy,” some of these things are emphasised quite strongly. HPB’s death in 1891 did not free the Esoteric Section members from their pledges, just as it did not automatically mean that the Esoteric Instructions could now be printed and published to be read by all and sundry. One might argue that since that time they have been republished by various people in a less adulterated form, both in books and on the internet…but this makes no difference…it (i.e. the publication and republication) is only a repetition and perpetuation of the “original sin” (if it can be called that) and a continual display of flagrant disrespect for HPB’s clearly expressed wishes and warnings, which were those of the Masters. All the teachings that HPB herself authorised for publication – i.e. her books and articles – will be found to explain themselves if studied diligently, earnestly, and with the right motive, as an ongoing thing, without us having to resort to documents which she specifically insisted had to be kept private and secret. To many students of Theosophy, it doesn’t seem right to help oneself to what doesn’t belong to them. Don’t we already have enough or even more than enough in the vast and voluminous mass of teaching and esoteric wisdom that was left for the benefit of future generations by HPB and her most trusted colleague and friend William Q. Judge, as well as in the deep and practical elucidations or expositions thereon by the likes of Robert Crosbie and B.P. Wadia? Of course, no-one has the right to make categorical statements as to what others should do in regard to these documents. It’s ultimately something to be determined by one’s own individual conscience and it’s up to each person to decide for themselves after thinking over it seriously. Unfortunately many do NOT think over it seriously, hence the continual republication of these papers and their recent translation into various different languages. Do Theosophists seriously think that they’re serving the Theosophical Cause and being faithful to HPB by so doing? But this is not true and, as a respected historian and researcher, Gomes ought to know full well that he is conveniently only giving a very small part of the actual facts and seemingly presented in such a way as is bound to misrepresent the situation and mislead those who do not do their own research. Neither he nor anyone else have ever yet provided any actual documentation or reproductions of papers/letters to prove this claim. They have not because they cannot, as no such “general release from secrecy” exists. (1) This was not a public release from secrecy, nor was it even made known to the members at large of The Theosophical Society, but only to those who were already pledged members of the Esoteric Section. They were the only ones who were informed – and privately so – of this lifting of restrictions. (2) Mr Judge wrote, “In accordance with order received from the Master, I hereby declare that Instructions I, II and III of this School are no longer secret, with the following exceptions . . . [which] are not relieved from privacy and cannot be discussed with non-members.” The “exceptions” which he then listed cover almost all the contents of those teachings and include those particular subjects and references which are the most commonly and popularly spoken about and publicised by those Theosophists who believe that this material is, or should be, publicly known. Thus that which was declared to be “no longer secret” actually amounts to hardly anything at all! This document was therefore something very different from what some Theosophists have interpreted and claimed it to be. It gives no basis, ground, permit, or authorisation, whatsoever, for general publication, printing, reproduction, or use, of HPB’s private esoteric papers. No decent, legitimate, or authentic authorisation to make them public and available has ever yet been given. They have only been made public and available through the breaking of occult laws, principles, and bonds of trust. Annie Besant’s claim that “they were written with the idea that they would be published after a time” and that “they are published with her [i.e. HPB’s] consent, the time for restricting them to a limited circle having expired” is so blatantly fallacious as to be almost laughable. It goes firmly against all the known facts and evidence and against the sacredness and permanently binding nature of the pledge. These things have been abused long enough, as well as travestied through the casual incorporation of some of their contents into the distorted and so-called “Theosophical” teachings of various individuals, ranging from Alice Bailey to G. de Purucker to Helena Roerich, all of whom proceeded to then interpret, alter, and add to them in their own particular way. Numerous students of Theosophy harbour within their hearts the sacred aspiration to one day be able to become a chela – or disciple – of the Masters and to be able to learn from them whilst assisting them practically and effectively in their great work. But can those who casually help themselves to private and secret esoteric material truly expect to ever be received favourably by those same Adepts whose wishes they have carelessly rejected and ignored? Would not the Masters view such behaviour, regardless of the motive, as one of unwitting disregard towards the most basic and elementary laws, principles, and regulations of esotericism? Our inner attitude towards these things must be carefully and closely examined now, if we ever wish to make real progress on this Path. For some, this may be a test but it is a test which must be passed. This is the opinion and position of some. But is this correct? Is it a faithful holding to “the original lines laid down” or is it merely a personal opinion, one having no truly Theosophical basis? As was mentioned in the article Photos and Pictures of The Masters of Wisdom, a serious sense of the sacred is sorely lacking today, even in some quarters of the Theosophical world. Should these words and notions come across as particularly stern or severe, one need only read some letters written by the Masters themselves to swiftly realise that the Masters would be far more stern and severe than this towards the aspirant, in regard to these very serious matters. We can deduce from what they, HPB, and Mr Judge, have written, that they – or rather the Law of Karma itself – would be even more severe towards those particular people responsible for the publishing, translating, and promoting of such documents. This article has been written only as a means of hopefully inspiring careful and thoughtful reconsideration in regard to this relevant and important issue. Theosophy speaks both to the head and to the heart and matters like this are primarily a “heart” issue. Reason, logic, and intellect must of course play their part in regard to this or any other matter but it is within the sacred and secret recesses of the heart that the inner being truly knows and instinctively realises what is right and how to act. VISIT THE ARTICLES PAGE FOR THE COMPLETE LISTING OF OVER 200 ARTICLES RELATING TO ALL ASPECTS OF THEOSOPHY AND THE THEOSOPHICAL MOVEMENT.